With Christmas and all its indulgences behind us, many of us begin to turn our thoughts to the new year. New year is often a time of reflection about what we have done, of pondering of where we are now and of optimism of where we will be in the new year ahead of us. Exfoliating is a key way to help with any detox program. It really helps to boost a sluggish circulation bringing oxygen and nutrients from the blood to the area. 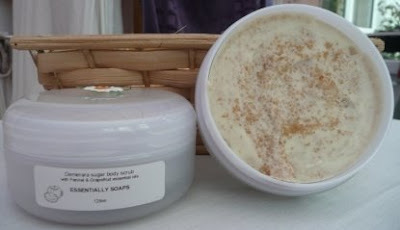 It also helps to slough off dead skin cells leaving the skin soft, vibrant and glowing. 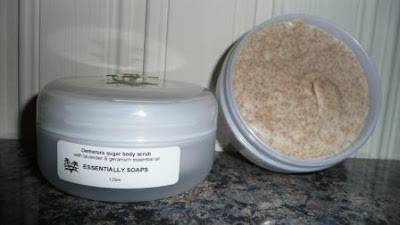 Exfoliating also helps to improve the absorption of other products into the skin (such as moisturising). A good, rich moisturiser will help to protect the skin from becoming dry and chapped - a common problem in winter time. Fennel and Grapefruit - a 'cellulite busting' blend of essential oils said to help with fluid retention & cellulite. Leave's your skin feeling so soft & moisturised. Lavender & geranium blend of essential oils - calming a soothing. 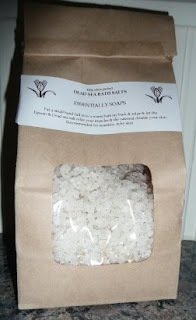 Dead Sea therapeutic bath salts with Epson salts & oatmeal, to gently cleanse & detoxify your body. Just what you need, when the weather is cold & wet, to care for those hands & nails. Don't forget your feet this winter. You may not see them a whole lot, especially in winter, but they still need to be pampered. 'Healing foot balm' Treat those feet with chickweed infused oil, carrot tissue oil & a special blend of essential oils which include lemon & peppermint to help heal cracked heals & sooth sore tired feet.